Are you ready for this? 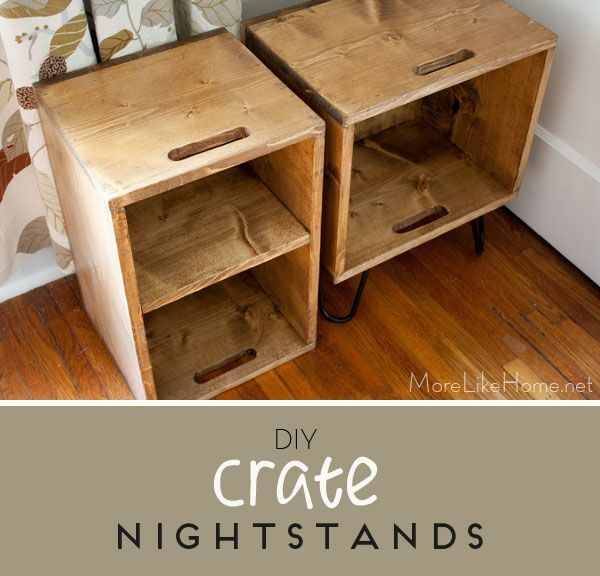 These little crate nightstands are some of the easiest things I've built, and they're some of my favorites, too! 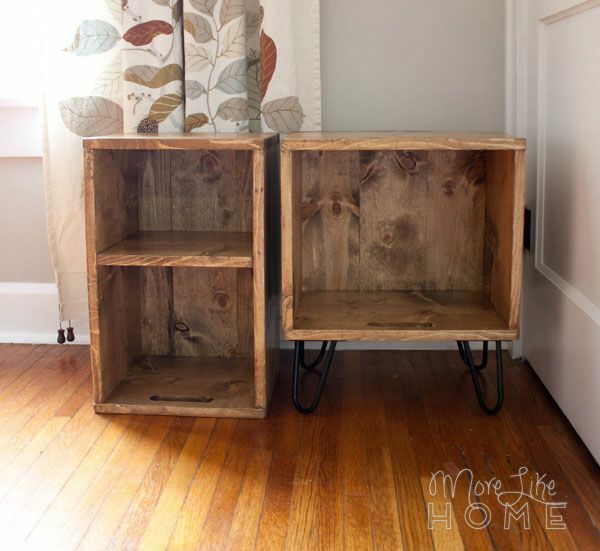 They are so cute and I love the rustic, casual feel they bring to the room. Today I'm posting the plans so you can make some too! 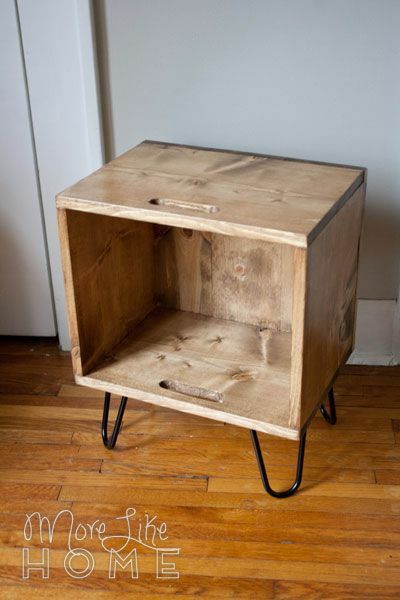 Real, vintage crates are expensive. At least on craigslist and ebay. I couldn't find any crates the size I wanted anyway. Thank goodness for DIY. With just a couple boards we made our own custom crates! We made two different styles because we needed different things for each side of the bed. 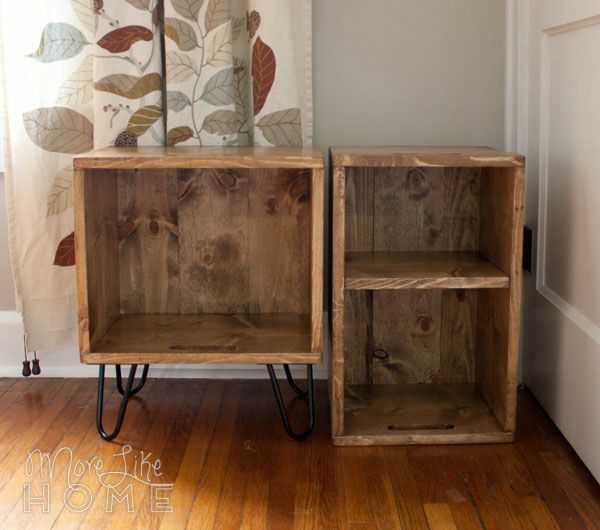 For Husband's side we raised the crate on hairpin legs because it sits over a vent and we didn't want to block that air flow (bonus = the legs are super cute). For my side I made the crate full-height with a shelf for books, but it's super narrow to fit between our mattress and the wall. I love that they don't match perfectly, but they still go together! It just adds to that crate charm. P.S. Look out for The Flash. Note: It's easy to adjust the height (just cut the side and back boards longer or shorter) but adjusting the width is a little trickier if you're using this slat-style back. You'll have to stick to something that works with your board widths (you can add more slats to make it wider), or instead use a plywood back cut to any size you need. 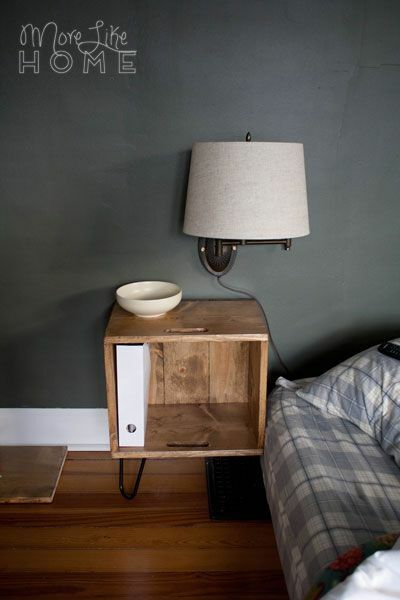 Keep in mind these nightstand are for our floor bed, so they are shorter than a typical nightstand. Start by cutting out handles in each top/bottom board (A). 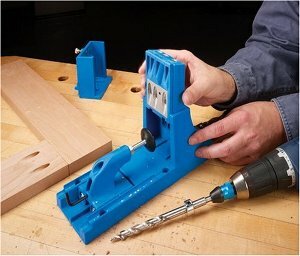 If you want an even easier build, skip the handles and move onto the next step. First mark the spots to drill your starter holes. 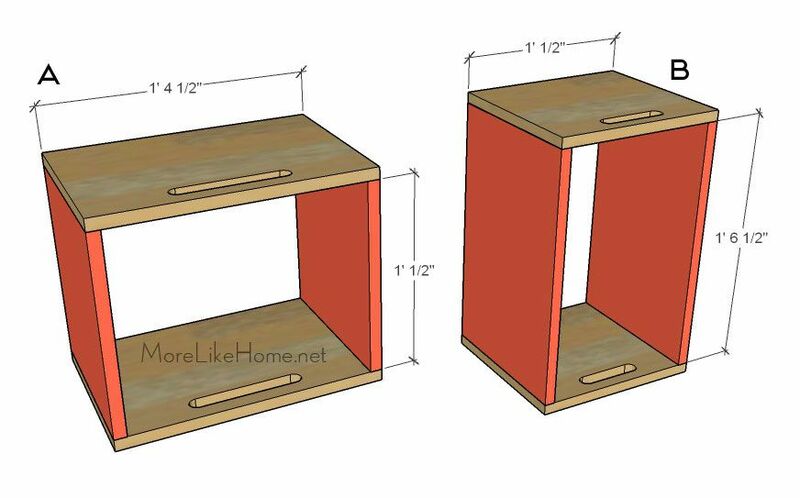 For nightstand A make a mark in 6.5" from each side and 1.5" in from the front edge. 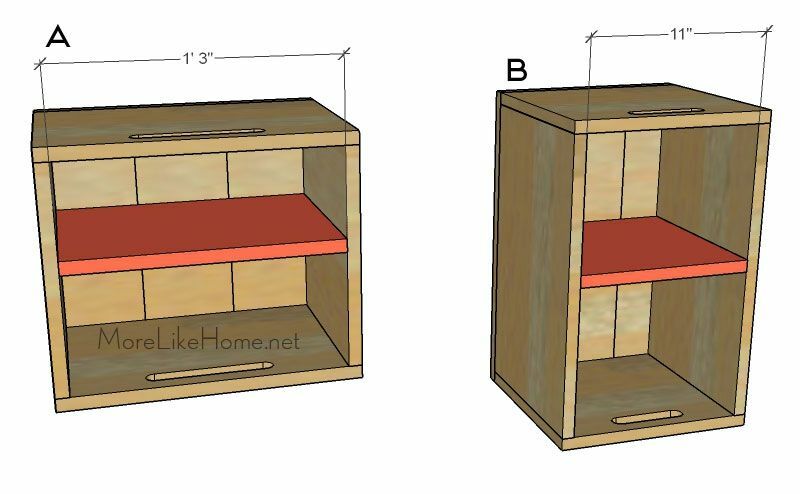 For nightstand B make the marks 4.5" from each side and 1.5" in from the front edge. Center a 1" spade drill bit on each mark and drill a 1" hole. 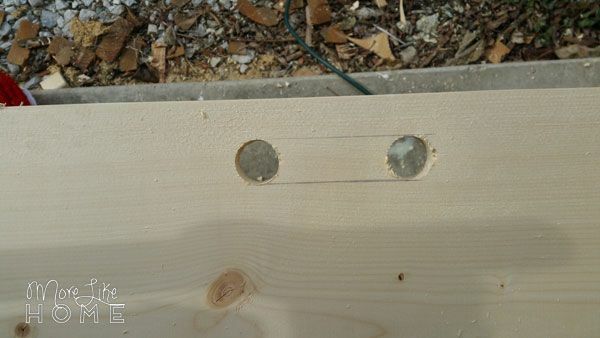 Use a ruler (or scrap board) to draw lines connecting the tops and bottoms of the holes. Use a reciprocating saw to cut along the lines. 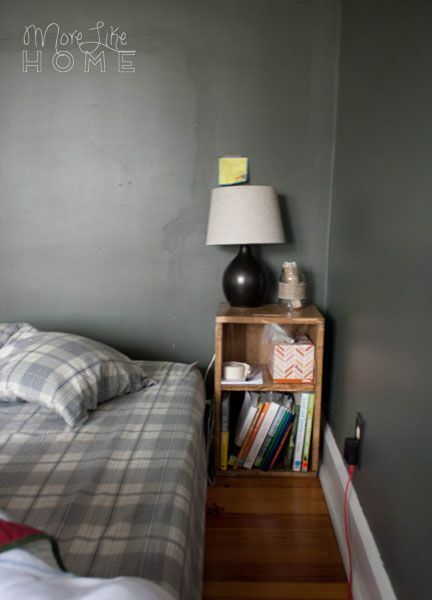 It's probably best to practice this on a scrap board before tackling the nightstand. I did not do that. But fortunately I'm okay with a little wonky character. 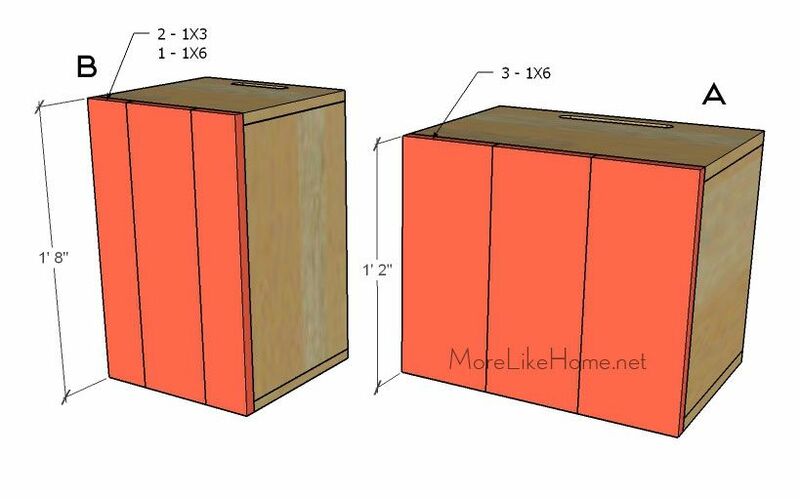 Now you can start to assemble your boxes. Start by attaching the top/bottom boards to the side boards. 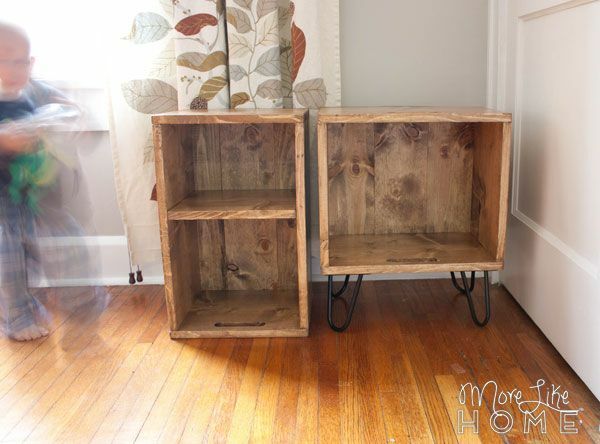 Normally I would use a Kreg Jig for a project like this, but these boxes are small enough I couldn't get my drill in at the angle it needs to go. So there are two other options: regular screws or finishing nails. 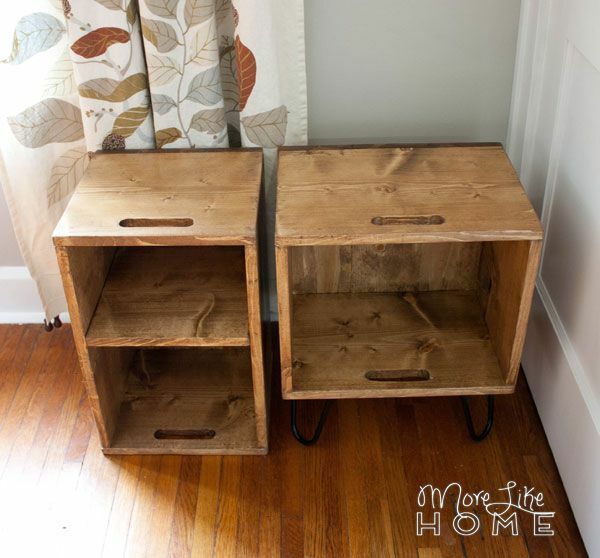 Screws are stronger, but you would typically countersink them and fill the holes with wood filler before finishing (unless you like leaving screw heads on this project for the rustic vibe). Nails are faster but probably won't hold up as well. Fact: I got a nail gun for Christmas. It is so much fun. That is how I made my decision. 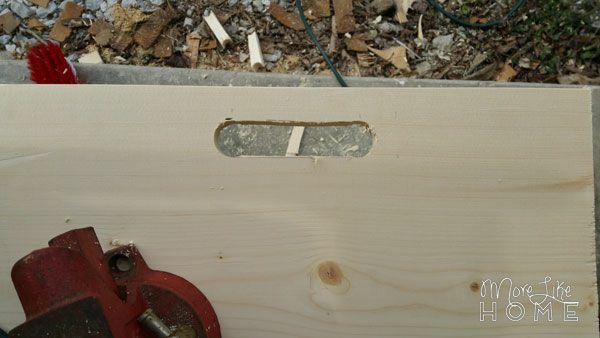 So whichever method you choose, nail or screw through the top/bottom (A) boards into the ends of the side boards (B). Don't forget the glue. 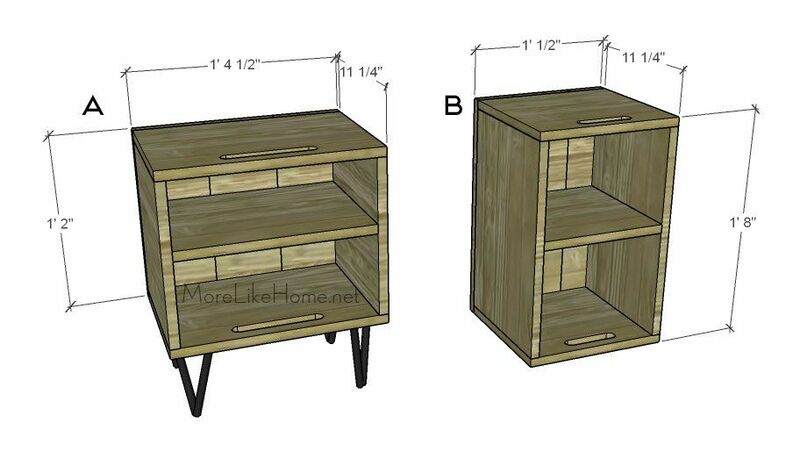 Lay the nightstand face down and attach the back slats side-by-side (C and D). You can use screws or finishing nails and glue. A uses three 1x6 slats, B uses one 1x6 and two 1x4 slats (the pic is mislabeled as 1x3s, sorry!). 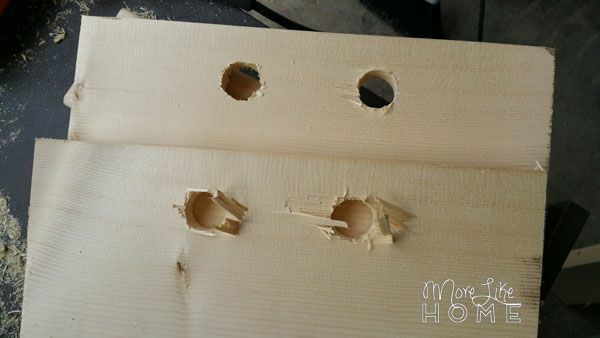 Install a shelf if desired by drilling (or nailing) through the sides into the ends of the shelf board. I stood books in mine to determine the height of the shelf. 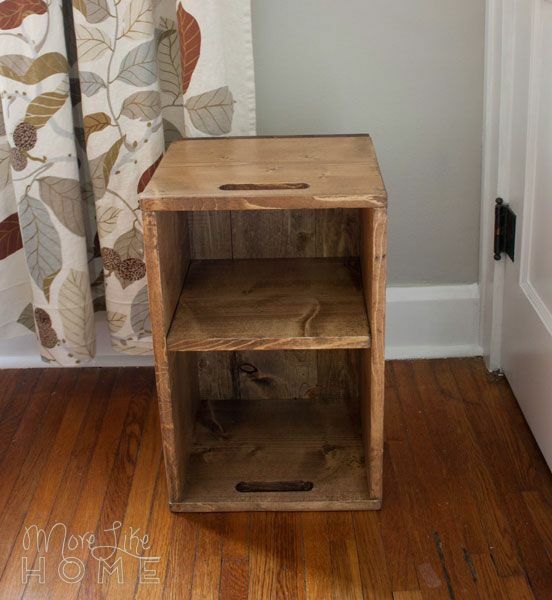 Fill any screw holes, sand everything down, stain it, and seal it. I used Minwax Early American stain and two coats of a water-based polyurethane. Don't forget to attach the hairpin legs! I let them dry and air out for a few days before moving them to their new home. They fit perfectly! And that's it! 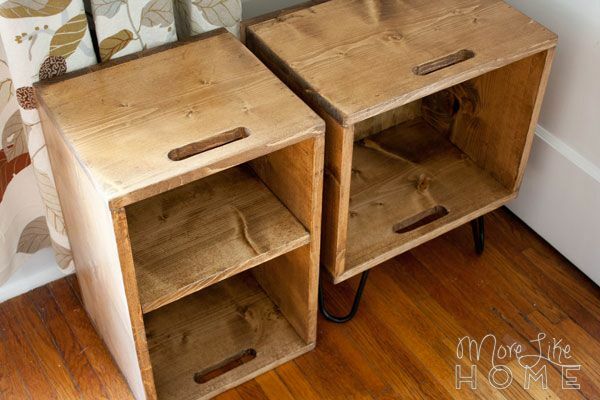 The handles are the trickiest part, but are well worth the effort for the finished look. We did want them to look like crates, after all. Once that step is done it comes together really quickly and you'll be done in no time! 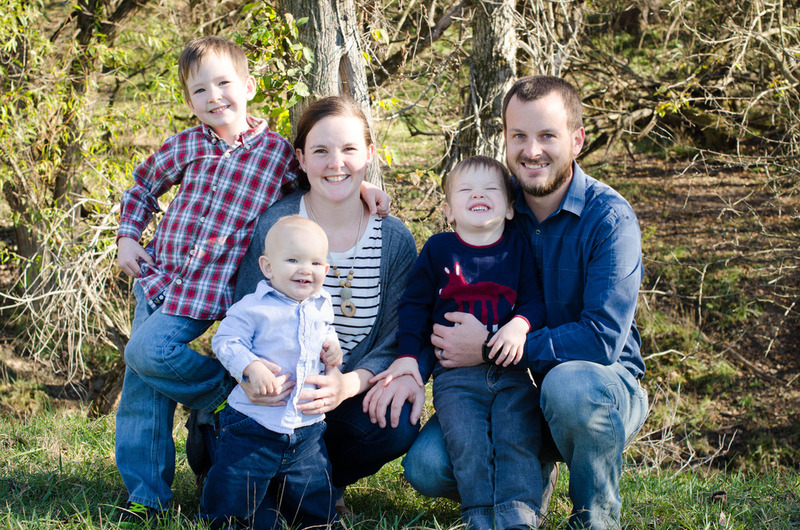 I love to see your finished projects! 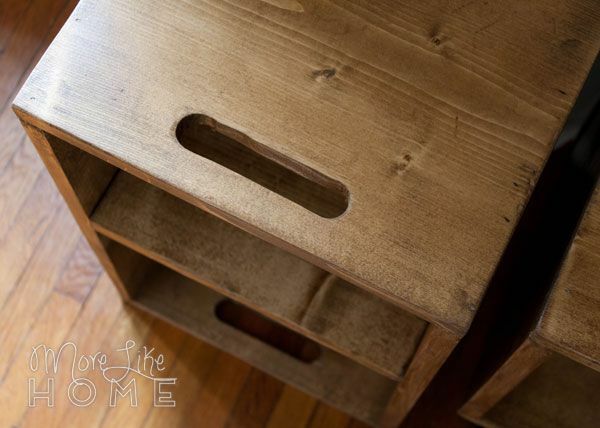 If you tackle this or any of our other plans, feel free to share them on our facebook page, or email them to me directly at morelikehome (at) gmail. 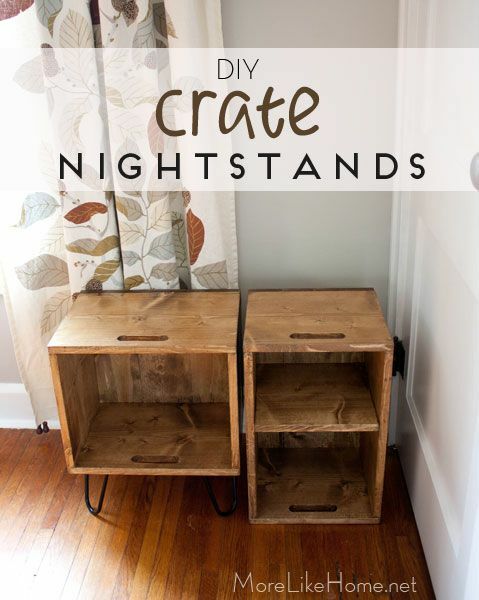 And if you're looking for more nightstand ideas check out our entire DIY Nightstand Series. Happy building!